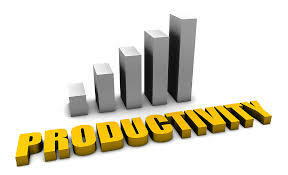 Business owners looking to increase productivity shouldn’t overlook the important role of the office environment. Office design is directly linked to employee wellbeing, and can significantly affect overall employee motivation and morale. A well-planned office space can assist employees to carry out their daily tasks effectively. Lighting is a primary aspect in good office design as it affects employee focus and concentration. Natural daylight should be complemented with internal lighting to best maximise productivity. Be wary of windows that are blocked by office equipment as exposure to daylight is critical to employee performance. Artificial lighting such as ceiling mounted lights should provide substantial illumination without glare or reflection. Fluorescent lighting can cause eyestrain, headaches and irritability; whereas, dim lighting can produce fatigue. Office furniture may be the cause of physical pain such as stiff necks, migraines, back pain and sore wrists. Seating should be comfortable and adjustable to minimise discomfort and prevent injuries. When using desktops ensure the screen is positioned correctly and consider a palm rest for the mouse. The noise level of your office is dependent on the size of the team, company culture and office design. High noise levels can be a cause of frustration for staff but can be reduced by designating silent areas, soundproofing meeting rooms and encouraging the use of noise cancelling headphones. The temperature of the office can dramatically impact on employee’s concentration levels. Although it can be difficult to find a temperature to suit everyone, generally warmer office spaces lead to higher levels of productivity. The spatial arrangement of office furniture is important. Cluttered and disorganised workspaces can contribute to unnecessary stress. To avoid noise and minimise distractions, employees should be positioned close to the tools and equipment needed. The office can be divided into different working areas depending on the task.